Quality Engineering & Surveying is back at it with the 2nd Annual MUSES Party with Architects and Architectural Designers! 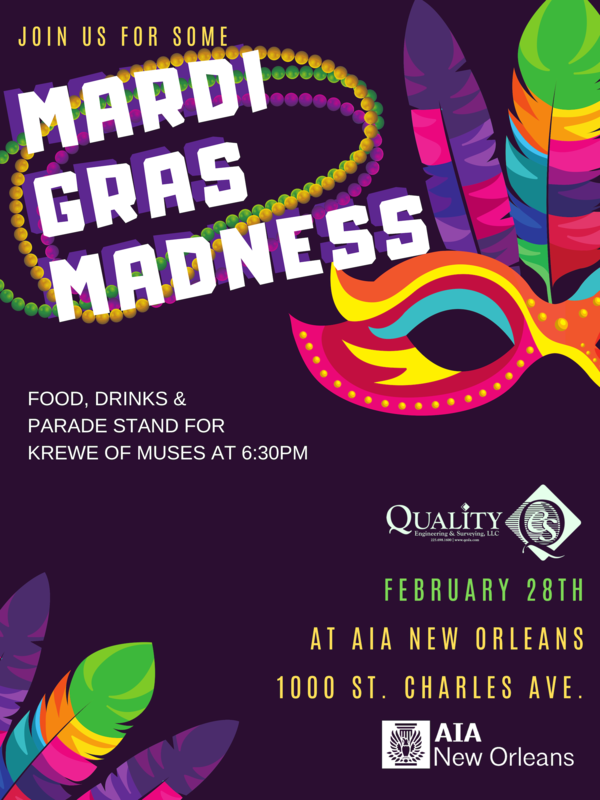 Quality Engineering & Surveying and AIA New Orleans invite you out for a festive night of beads, bites, and booze on the Avenue! Join us at the Center for Architecture and Design for a great spot on our Grandstands on the Circle. This event is free and open to Architects and Architectural Designers in the Greater New Orleans area. RSVP IS REQUIRED at the bottom of this page.